But the open terrace where Hemingway wrote in warm weather, nursing a café crème, with his pencils and blue-covered French notebooks, is now an elegant glassed-in restaurant hidden behind a hedge of shrubbery. It looks expensive and exclusive. People from the Dome and the Rotonde never came to the Lilas. There was no one there they knew, and no one would have stared at them if they came. We’d been warned about exorbitantly priced drinks and meals in Paris’s famous literary and artistic cafés as they cash in on their famous past. I remember all too well my kir at Les Deux Magots, the café made famous by Jean-Paul Sartre and Simone de Beauvoir. The kir was double the price and half the strength that I could get from the Café Bonaparte on the next corner. It’s in the nature of pilgrims to ignore all sound advice, and strike out in pursuit of the holy. 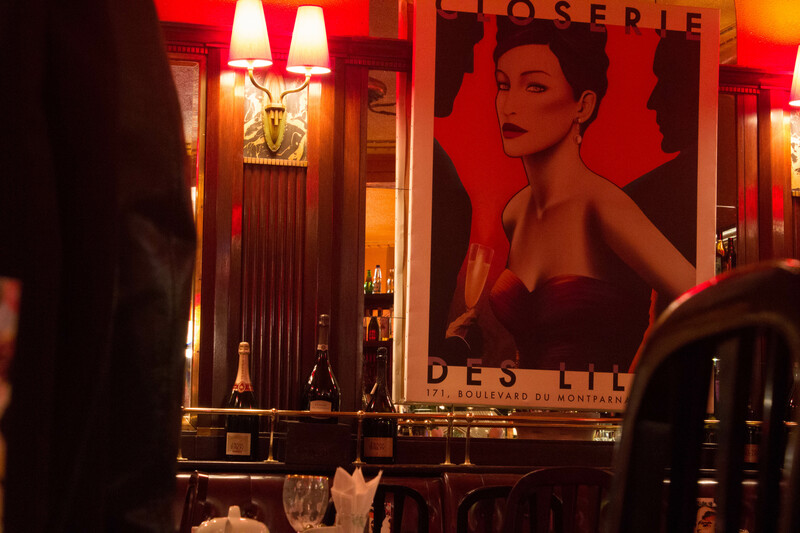 We step inside La Closerie des Lilas. The light is diffused. The bar is all mahogany panels, paintings, photographs and posters, dark wooden cafe tables and chairs along a red leather banquette. Behind the bar the shelves are mirrored and the bottles backlit. It’s hardly modest. But because it’s our last day in Paris and because La Closerie de Lilas is so luxurious, and because Hemingway, whom I consider one of the best short story writers ever, wrote in this café, we lash out and buy two flutes of champagne. As we wait I notice the brass name plaque on the table next to us. Edvard Munch. I point it out to my companion. ‘Aahhh!’ he screams with his hands against his cheeks. Then I remember that each table in the bar carries the name of a famous client. I frantically search for the name plaque on our table. Let it be Ernest Hemingway. I find it in the opposite corner. With the low light and the gleam on the brass I can’t read it. I half stand up so I can see it properly. If there is anyone from the ‘Lost Generation’ whose work I admire as much as Ernest Hemingway, it is Man Ray. 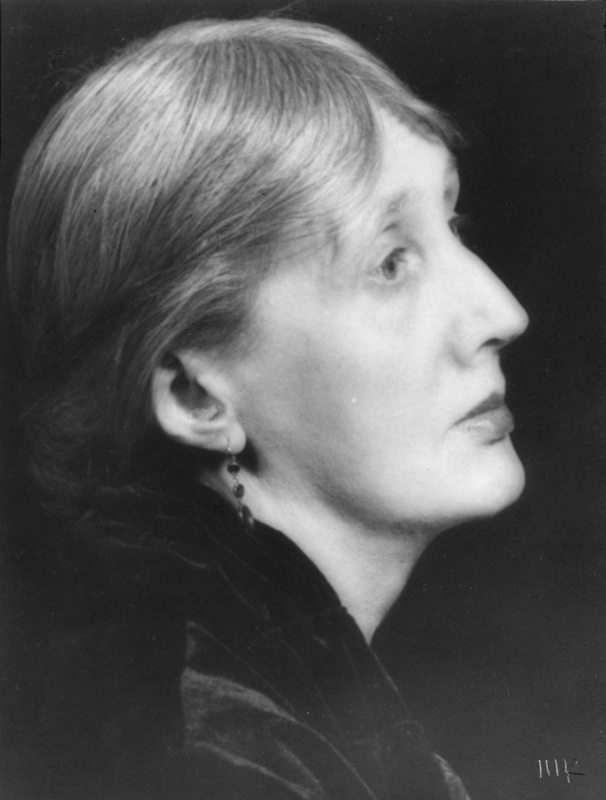 I fell in love with his photography years ago after seeing his photograph of Virginia Woolf in which he caught perfectly her mixture of vulnerability and sensitivity. To celebrate this amazing coincidence we order half a dozen oysters. 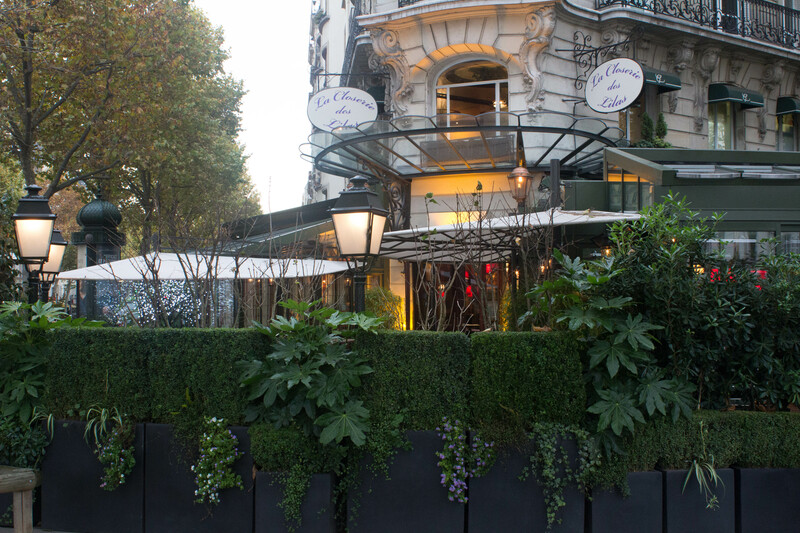 La Closerie des Lilas is such a charming place I’m suspicious of how much it has changed since Hemingway’s day. I’m sure the way downstairs to the toilets wouldn’t have looked like this. 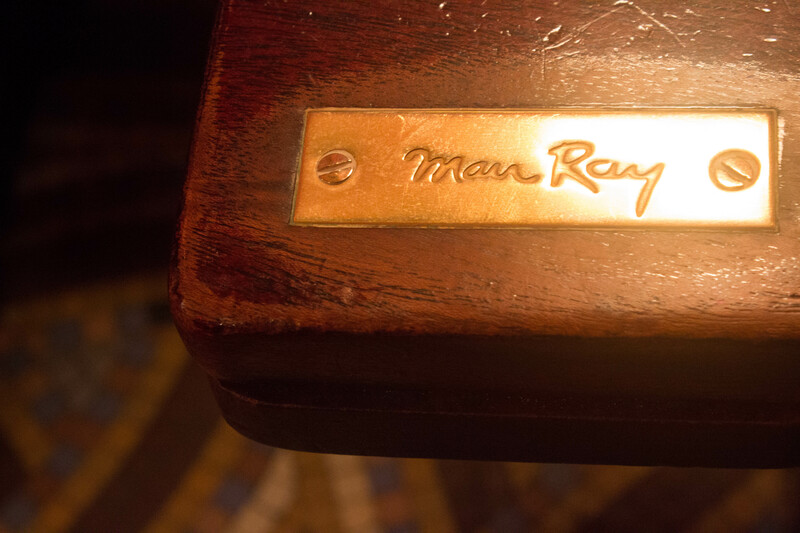 Despite the plaque, our table probably never knew Man Ray, and I’m paying through the nose for the experience. But the champagne fizzes up my nose, the oysters taste of the sea, the staff is welcoming, and my heroes once drank here just as I am. I wouldn’t want to be anywhere else. 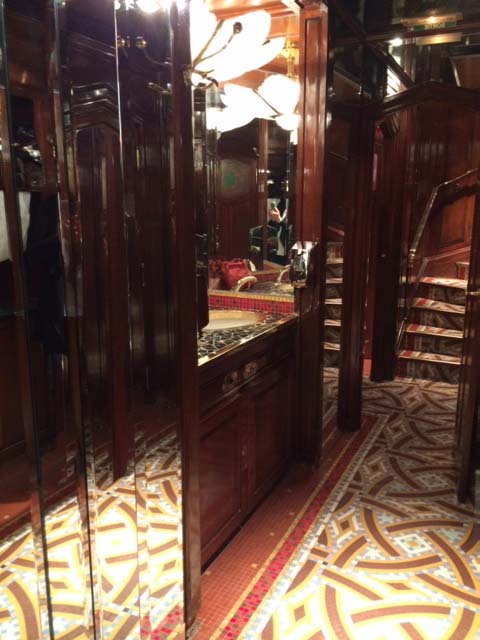 This entry was posted in paris, photography, Travel and tagged Hemingway, La Closerie des Lilas, Man Ray, Paris, Paris cafes, photography, travel, writing. Bookmark the permalink. Karen, there is something quite magical about being in the spot where those who have influenced or touched your life have long ago sojourned. Thanks once again for sharing the magic. There is something magical about following in their footsteps, Di. That opens up a whole lot of other issues about what these pilgrimages actually mean to us. Perhaps a question for another blog…? I am in awe of your experience, your vivid descriptions and attention to detail along with wonderful photos makes me feel as though I am there too. So thanks for sharing and don’t underestimate the quality of your words. High praise indeed, Sue! Thank you so much for coming on the trip with me. It was a pleasure to feel your presence. What a fantastic experience! I was on the edge of my seat to see who had sat at your table. Thanks for taking me to Paris. Being in the cafe with such an important cultural history was a wonderful finish to our trip, Maree. The decadence of champagne and oysters in such a beautiful place just topped it off. Hi Karen, This is an amazing place but what a story are you still there and are you safe! if so write about it my thoughts are with you. Thank you, Sue. We left before the attacks on Paris and we’re home now. It was very upsetting to hear about them. I’m so relieved you are home now. We arrived in France on the Sunday morning after the attacks and the roads were eerily quiet. I have no words for what happened on the 13th. I’m pleased to hear you weren’t there during the Paris attacks, Joanna. The empty streets must have seemed so eerie – I can’t even imagine it. I don’t know how to talk about the attacks either. A hot chocolate in Quimper! Delicious! You’ll be in reminiscent mode like me about now, I suspect.